We're just ready to go as far as we can. 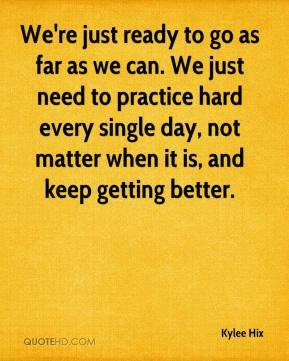 We just need to practice hard every single day, not matter when it is, and keep getting better. I love high school soccer, just the competition of it. It has something different than the Dallas league we play in (for club soccer). We have something more to work toward, like state and all that. 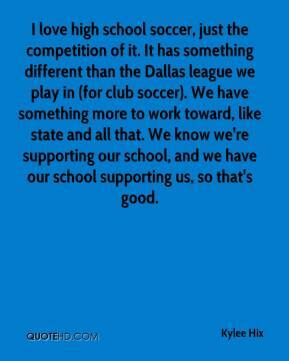 We know we're supporting our school, and we have our school supporting us, so that's good.